Hello to all our Deputies, WordCamp organizers, Meetup wranglers, and WordPress Community builders! You were probably hard at work this weekend. Tell us what you got accomplished in our #weekly-update! Have you run into a roadblock with the stuff you’re working on? Head over to #community-events or #community-team in Slack and ask for help! WordCamp Detroit orientation – On the call — Eric, Randy Walker, Seth, Andy Melichar (and Larry Swanson sitting in) one of the goals of the WordCamp is to help grow the meetup and bring in new members. And for the meetup a goal is to make it more developer friendly. Goal is to hold in in March of 2018 and to avoid competing with the other three WordCamps in Michigan. looking for 150 to 200 attendees. They’re already scouting spaces including looking at the venue they currently use for their meetup group. Thinking 3 to 4 tracks to cover all the different types of attendees. Traditionally their meetup group has focused on beginners and they want to branch out to designers, developers, etc. They have a team of ten. 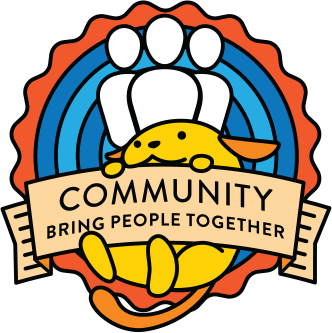 WordCamp Philly – questions around the code of conduct. Recommended that they print the code of conduct. reminder to have the contact email on the form up to date. Have at least two people of differing genders. Went through when they would need to escalate to WPCS Speakers – speakers are actually turning in their slides. Volunteers – schedule is organized and will go out to volunteers by tomorrow. Sponsors – on target hit their sponsor goal today! Signage is off to print. Badges are going off to print next week. WordCamp Portland mentor closeout chat— Yay they survived! And they stayed under budget! And their income was above what they set a goal for. There was only one response on the survey that said it wasn’t well organized. Not sure if the sponsor and volunteer thank you were sent but the speaker thank you were sent. Bad things: The volunteer t-shirt sizing was just plain off. Everything was too small. Different brand next year because it was really bad. There was more food waste than they would like (but it was donated to the homeless). But there weren’t enough donuts. And the shuttle while it was good that they have it they cut it down to 2 and wound up only needing 1. After party: they were prepared for way more people than arrived. People loved the the Birds of a Feather session but especially the diversity session could have benefitted from a facilitator and being a real session. On the lead organizer end — both of them faced a little bit of burnout. requested update to URL from 2017.dayton.wordcamp to 2018.dayton.wordcamp and requested a zoom call so we can make sure the team is on track for the 2018 event. vetted application for WordCamp Sao Paulo 2017 – only yellow flag is that the event is desired in December 2017. asked for orientation. Will see how far along the planning is and approve for 2017 or encourage an early 2018 date. Requested orientation. Orientation scheduled. vetted WordCamp Miami application – requested orientation. Orientation scheduled. ← Let’s create case studies of the WordCamp regulation.